On Trend: The Bold Black and White Stripe — Sukio Design Co. I never write trend posts (like never ever) but it's hard to ignore a trend as popular and pervasive as the bold black and white stripe. I first took notice last spring when Taylor Tomasi Hill sported striped Celine pants during Milan Fashion Week. Somehow a pattern associated with cabana tents and jailhouse jumpsuits became a chic fashion statement. Of course, stripes have been around forever. The key difference: thick, substantial, vertical bands. There’s nothing subtle about the new stripe! 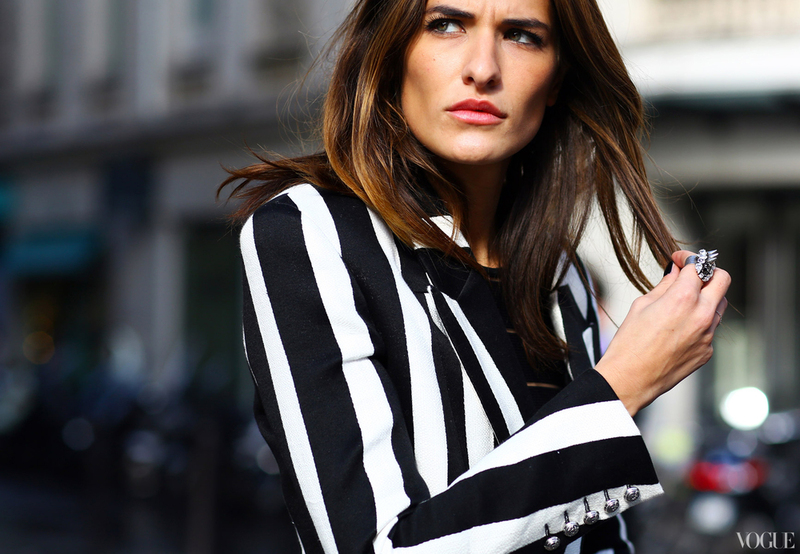 Taylor Tomasi Hill turned heads in her black and white striped Celine pants. Image: grazia.it. A boldly striped dress and clutch from Marc Jacobs Spring 2013 collection. The new stripe made a strong showing during Fashion Month. Image: Kevin Tachman. Follow Sukio on Facebook and never miss a post!